The Barton BMC055 Sallen-Key VCF pcb is a classic Multi-Mode (LP/HP) voltage controlled filter design, commonly found in synths like the MS-20. Agressive, Gnarly, and a must have in your Modular System. This is for a PCB only suitable for multiple formats. The Sallen-Key VCF pcb is a classic Multi-Mode (LP/HP) voltage controlled filter design, commonly found in synths like the MS-20. 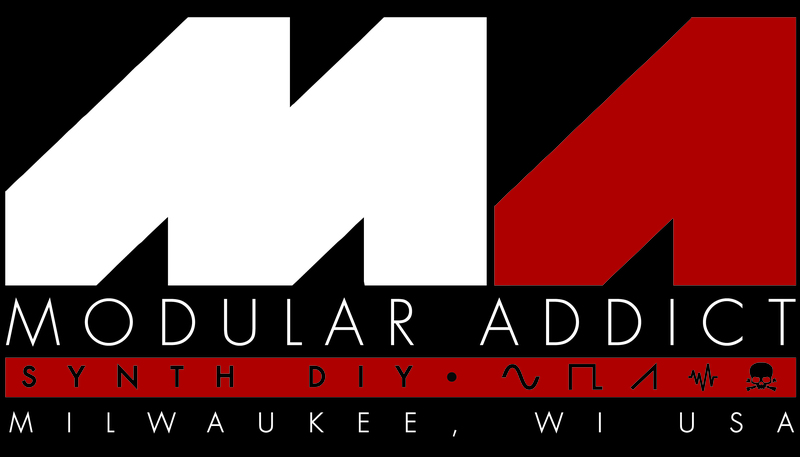 Agressive, Gnarly, and a must have in your Modular System. 1.Cutoff – This sets the cutoff frequency of the filter. 2.Cutoff CV – This attenuates the voltage from the control voltage input. 3.Resonance – This controls how much of the filters output is fed back to it's input. At maximum the filter will oscillate without an input. 1.LP IN – Signal inputted here will be low-passed through the filter. DC coupled. 2.HP IN – Signal inputted here will be high-passed through the filter. AC coupled. Both inputs can be used simultaneously. 3.CV IN – Control voltage for cutoff frequency. 4.OUT – Signal output for both Low pass and High pass modes.